The purpose of this solicitation is to establish a contract for social media consultant services that will evaluate, implement, improve and optimize a positive online and social media presence for RRHA that will not only achieve visibility, but lead to tangible results (i.e. attendance of events, receipt of applicants for job openings). RRHA is committed to its vision to provide leadership and innovation that enable this organization to become a model redevelopment and housing authority. Established in 1949, the City of Roanoke Redevelopment and Housing Authority (RRHA), provides housing and homeownership opportunities for low and moderate-income persons, fosters family selfsufficiency, and plays a significant role in redevelopment activities in the City of Roanoke. With funding provided by the U.S. Department of Housing and Urban Development (HUD), RRHA operates 1,275 residential housing units in eight Public Housing developments and scattered sites throughout the City. In addition, RRHA administers HUD-funded Section 8 programs including 2,059 Housing Choice Vouchers. RRHA also manages over 200 units of Low Income Housing Tax Credit rental housing, 24 units of Section 8 New Construction, Hackley Apartments and private rental housing. RRHA develops and implements redevelopment plans through cooperation agreements with the City of Roanoke and conducts revitalization activities in partnership with the City of Roanoke. · Increase the number of followers reached via social media. o Recommend metrics that RRHA can use to assess the impact and reach of its social media presence campaigns. · Provide any advice and recommendations on how to maintain an effective social media presence after the initial plan is completed. 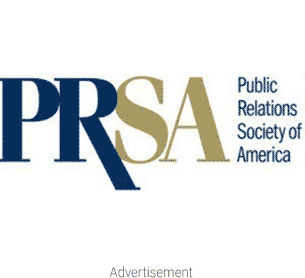 Agencies with relevant experience include Makovsky PR and Small Girls PR.